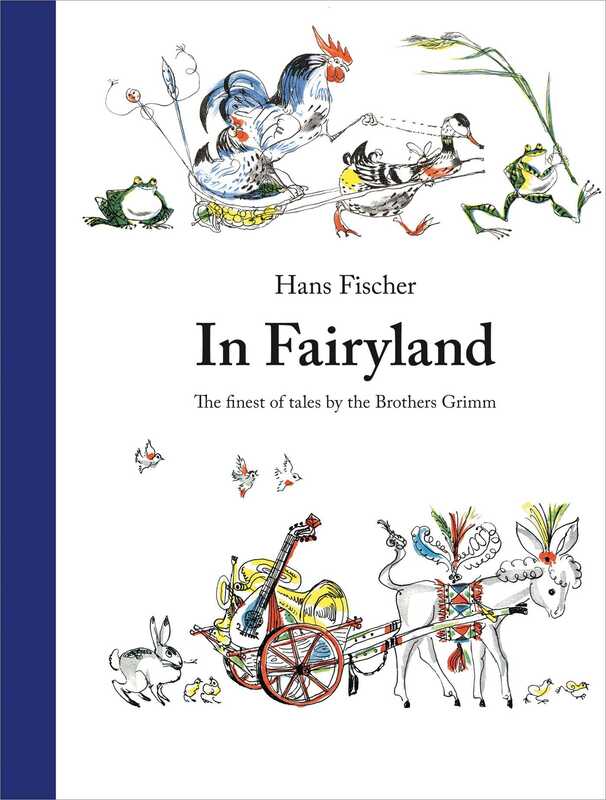 A beautiful collection of fairy tales with illustrations from the beloved Swiss illustrator, Hans Fischer. Hans Fischer, the beloved Swiss illustrator known as “Fis,” illustrated a large number of children’s books in his lifetime, the best known being Pitschi and The Birthday. This collection is a treat for the whole family. Jacob and Wilhelm Grimm were born in 1785 and 1786 near Frankfurt, Germany. In their early twenties, they began the linguistic studies that would culminate in their collected editions of folk- and fairy tales. They got their stories from peasants and villagers, and sometimes from already-published works from other cultures. Jacob did much of the research; Wilhelm put the stories into literary form. Hans Fischer (1909 - 1958), born in Bern, Switzerland, was a Swiss artist, author, and illustrator of children’s books. He studied art in Geneva and Zurich and worked on animated films, designed shop windows, magazines, mural paintings for schools and for the Zoo in Bern, stage sets for the Cabaret Cornichon, and a vast number of book illustrations. His fabulous creatures, always drawn with scientific precision, have enriched the imaginations of countless generations of children. He also wrote and illustrated the international best-seller Pitschi, about the little cat that always wants to be something else. Hans Fischer’s work was displayed at many exhibitions and won numerous awards. Hans and his wife, Bianca Wassmuth, had three children, one of whom—Kaspar—also became an artist as well as an actor. This large, attractive volume of fairy tales showcases the illustrations of Fischer, a Swiss painter, engraver, and cartoonist who studied with Paul Klee and had a flair for drawing animals with energy and wit...A handsome book of fairy tales.